National Security Agency whistleblower Edward Snowden answered questions from Canadian students on Monday, telling them that mass surveillance can actually harm the ability to prevent terrorist attacks while also being detrimental to personal privacy. Speaking at Upper Canada College in Toronto via webcam from Russia, Snowden was joined by journalist Glenn Greenwald as the pair fielded questions from high school students. When asked about mass domestic surveillance – which new reports show Canada is engaged in – Snowden argued that the practice could divert attention and resources from more focused efforts that would yield better results. The former NSA contractor pointed to the Boston Marathon bombing that took place in 2013, saying that once it had occurred, the agency realized that it already had data on the suspects and that they had been previously flagged. Nonetheless, the NSA failed to predict, detect, or stop their plot. 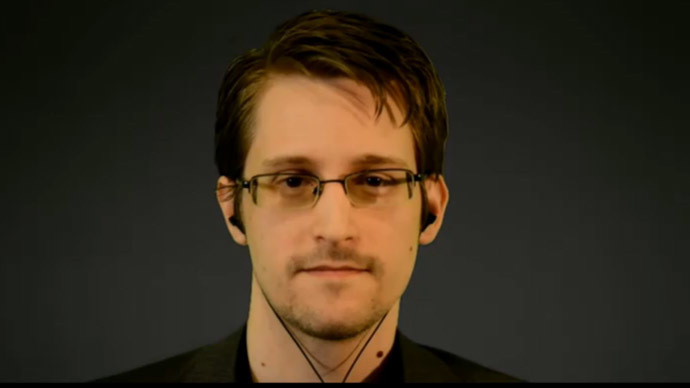 “The problem with mass surveillance is when you collect everything, you understand nothing,” Snowden said. His comments came on the heels of a new report revealing that Canada has been running a global surveillance program of its own, one that has operated in countries such as the United States, Britain, Brazil, Germany, Spain and Portugal. Codenamed “Levitation,” the program allows government agents to archive internet activity – including which files are uploaded and downloaded – as they try to uncover terrorists. The topic of Canada’s newly proposed anti-terror law also came up, since the bill would allow police to detain terror suspects for up to a week, make it easier for law enforcement to arrest suspects, and criminalize the promotion of terrorism, among other things. Snowden told Canadians they should consider the contents of the law seriously: “Once we let these powers get rolling, it’s very difficult to stop,” he said. Snowden: "When the dataset reaches a certain point of richness, the temptation to use it for new and novel purposes...cannot be resisted." Snowden told students that without oversight, governments cannot resist the temptation to use the data which they have collected for “new and novel purposes.” He added that this kind of surveillance is inherently dangerous to democracy and needs to be debated in public. As he answered student questions, Snowden defended disclosing classified NSA documents to journalists like Greenwald, noting that independent investigators have not been able to detail a single instance in which the revelations have harmed American security. Snowden acknowledged that the NSA plays a vital role for the US, and that surveillance is used all over the world to investigate serious crime, but insisted that its role should be proportional to its need. Both Greenwald and Snowden argued that residents of Canada, the UK and US are more likely to die from car accidents, disease, or slipping in the bathtub than from being a victim of a terror attack, yet the fear of terror is exploited by those in power to get people to allow and support repressive policies. “Sometimes authority itself is corrupt and unjust, and the only just act is to disobey it,” Greenwald said. Snowden added that the best way to propagate Western values is to improve our own societies, to act ethically and fairly in order to make it desirable to others around the world. He also touched on what the rise of China may mean for internet security. If Western nations are willing to stop the indiscriminate monitoring of data, are willing to cut out surveillance ‘back doors,’ and are willing to enforce liabilities on corporations who do not protect individuals, then the data will also be protected against other nations, according to Snowden.